Every organization deserves the best possible protection. No matter your industry, Tyco India can help. Our vast experience enables us to deliver solutions designed to address your specific needs and requirements. Our operations span across India and neighbouring countries, servicing diverse range of industries. We provide expert knowledge of your specific market requirements. Tyco Integrated Fire & Security is a leader in the Indian market and your single source for fire protection and security solutions. Securing supply chains and real-time tracking of mobile assets. As trade routes become increasingly complex and sophisticated, only the most robust and resilient security solutions can prevent supply chain losses, protect infrastructure and ensure the safety of personnel. Along with safeguarding physical property and assets from fire and security events, there are also environmental dangers, life safety code compliance challenges, and the physical security of employees and visitors. As a comprehensive, single-source provider of an array of networked and integrated fire protection, security, life safety, and communication systems, we offer solutions for every area of warehousing, supply chain, transportation, including aviation, rail, port and piers, and more. Our total solutions approach provides protection for your assets, people, facilities and cargo - and helps you keep track of your mobile assets in real time. From the warehouse to containers and trucks, we can enhance your transportation and logistics operations with complete visibility and control, helping to drive efficiency and profitability throughout your enterprise. And with our focus on integrated systems, you’ll have streamlined management, even across multiple facilities and assets. Whether your concern is fire, inventory protection, vandalism, perimeter protection, or all of these and more, our experts can help identify your vulnerabilities and develop cost-effective protection strategies tailored to your needs. We enable risk mitigation, improved security and compliance, while offering a rapid return on investment and a low total cost of ownership to improve business bottom lines. Through operational efficiency and situational awareness, we reduce traffic delays, increase vehicle capacities and ensure safer transport. Our global network of research and development Centres of Excellence drive innovation and cutting-edge technology to integrate transportation platforms. Tyco Integrated Fire & Security helps companies work safer and smarter. We are dedicated to providing the most advanced business fire protection, security, and life safety solutions in India. We take a consultative approach to delivering tailored, single-source solutions for all types of facilities, offering a comprehensive array of integrated fire alarm, sprinkler and suppression, security against both internal and external threats, Access Control, Video Surveillance, Building Management Systems, Retail Anti Theft Solutions, RFID / Asset Tracking Solutions, Physical Security, Perimeter Protection, sound and communications, and nurse call systems and services. We help you protect your employees, customers, facilities, assets, inventory, processes and operations with solutions tailored to your business, scaled to your enterprise, and enhanced with the most innovative technology tools. Tyco India, for the last two decades, is dedicated to advancing safety and security by finding innovative ways to save lives, improve businesses and protect people where they live and work. 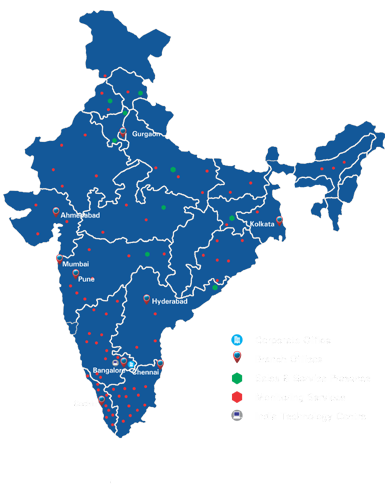 Tyco’s India operations span across India, Sri Lanka, Bangladesh and other neighbouring countries. With our diverse and innovative product line, understanding of the local market and a strong dedicated workforce we can deliver end-to-end solutions across sectors, be it Banking & Finance, Healthcare, Manufacturing, IT and ITeS, Pharmaceutical, Manfucturing, Industrial, Retail or Logistics. ©2015 Tyco. All Rights Reserved. TYCO, SENSORMATIC, SCOTT SAFETY and the other marks listed on this website are marks and/or registered marks. Unauthorized use is strictly prohibited.